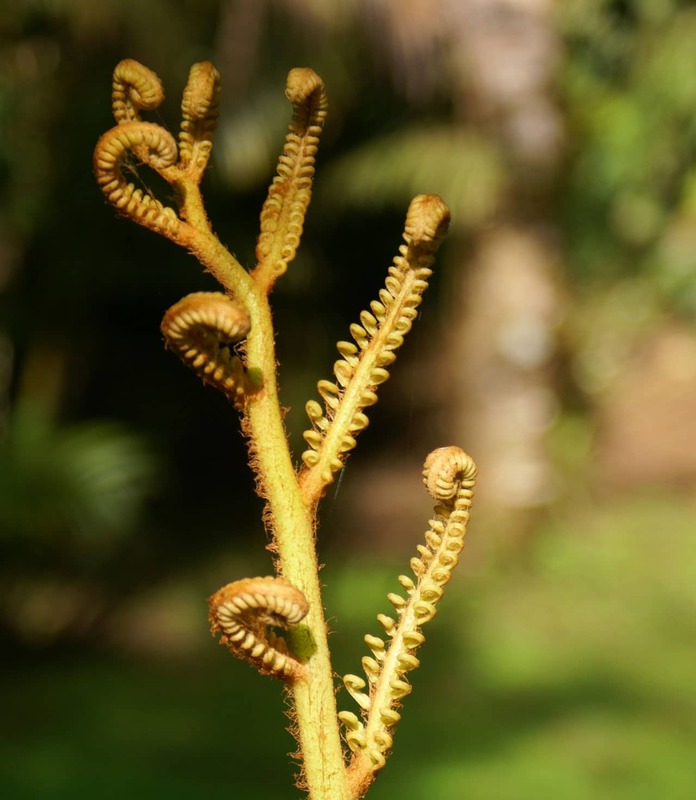 This course is designed to build the diverse skills needed for floristic, taxonomic, phylogenetic and ecological research on tropical ferns. It is an intensive, 17-day field introduction to the identification, classification, phylogenetics, ecology, and reproductive biology of tropical ferns and lycophytes. Topics include: fern ecology, ecophysiology, reproductive and gametophyte ecology, methods of field collection and specimen preparation. Course participants are eligible for pilot and research awards provided by the OTS Fellowship program. Students must complete the course successfully to be eligible. 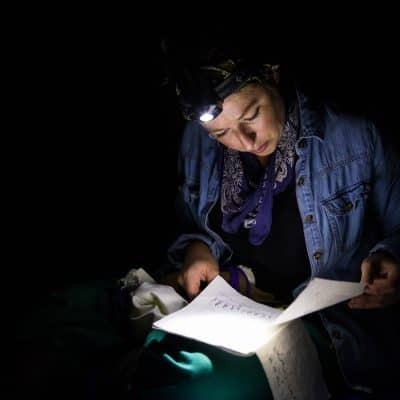 The course is an intensive field course that runs all day. It begins with breakfast at 06:30 and starts with lectures or fieldwork by 08:00 hrs. Lunch is at 12:00 hrs and dinner at 18:00 hrs. Dinners are usually followed by a lecture and or group discussions. The pace can be overwhelming at first, but you’ll be surprised how quickly you get used to it, and by how much you see and learn. 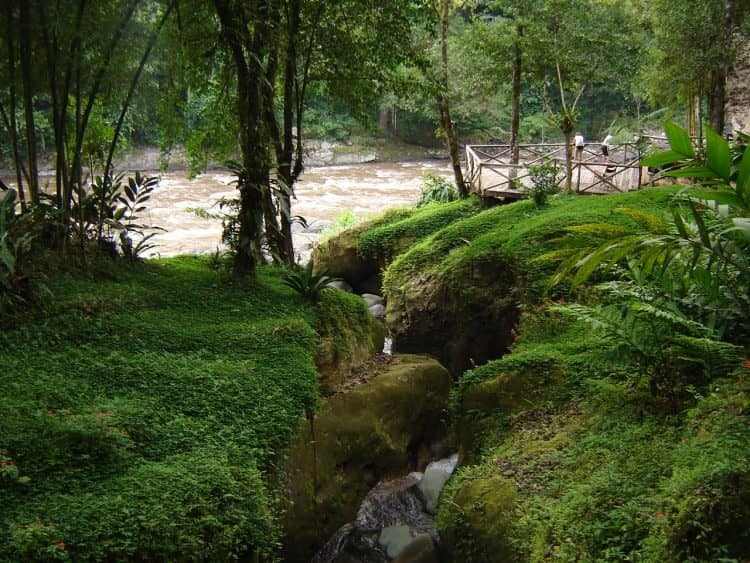 The Tropical Ferns and Lycophytes course takes place at the following three field sites in Costa Rica. Las Cruces Biological Station. 1100 m elevation. 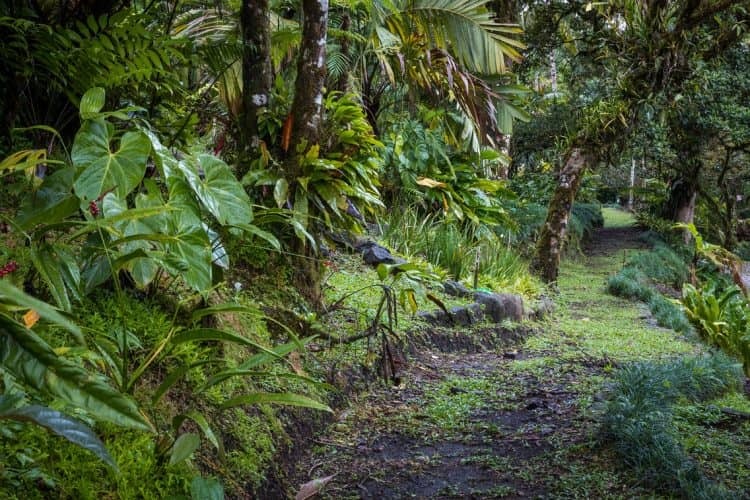 Situated in premontane rainforest on the Pacific slope, Las Cruces has a world-class plant collection in the Wilson Botanical Garden and an associated 160 hectare tract of old growth mid-elevation forest. Las Cruces is surrounded by agricultural landscapes, ideal for research on fragmentation and restoration ecology. La Selva Biological Station. 50 m elevation. Situated in wet lowland rainforest on the Atlantic slope, La Selva is not only OTS’ largest and longest-running station, but also one of the world’s premiere centers of tropical forest research. Over 1500 hectares of old- and second-growth rainforest is readily accessible via an extensive trail system. 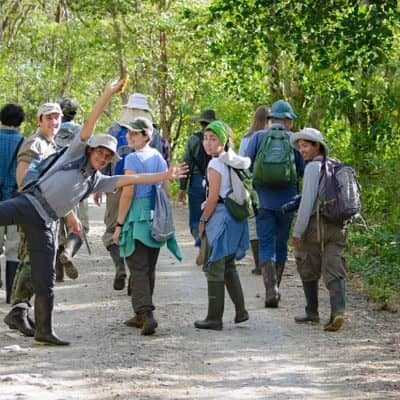 Besides its impressive forest and excellent laboratory and classroom facilities, one of La Selva’s great assets is the opportunity to interact with researchers from around the world. In addition to this, the station connects to Braulio Carrillo National Park via a forested altitudinal transect ranging from 30 m to 2500 m above sea level. Tropical Ferns and Lycophytes course costs more than $3,500 per student. Students from non-OTS institutions pay $3,500 for tuition, whereas students from OTS-member institutions (which pay annual dues) receive a $1,000 member discount and must pay $2,500. Additional partial scholarships may be available. Cost includes: all lodging and meals, transportation during the course, and all course materials. Personal expenses such as laundry, mail, entertainment, international travel, insurance, medical expenses, etc. are not covered. Also, students planning additional time in Costa Rica before or after the course should allow $50-60 per day. Additional scholarships may be available for students with demonstrated financial need. If you are interested in being considered for a partial scholarship please make sure to include a request for a partial scholarship along with the rest of the required documents. The letter should outline your financial situation, previous scholarships/grants (if any), and the amount you are seeking from outside sources to cover the costs of the course. The letter will help us assess your situation individually and determine your eligibility for a partial scholarship if you are selected for the course. Please note that the scholarships are awarded and applied only to the tuition/course cost. They cannot be applied in any other way, for example travel expenses. 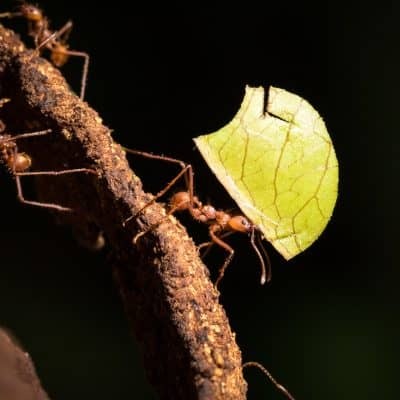 Although we may be able to award a partial scholarship, we recommend that you seek funds for the course outside through your own means, such as applying for grants from your department or organizing small fund raisers. 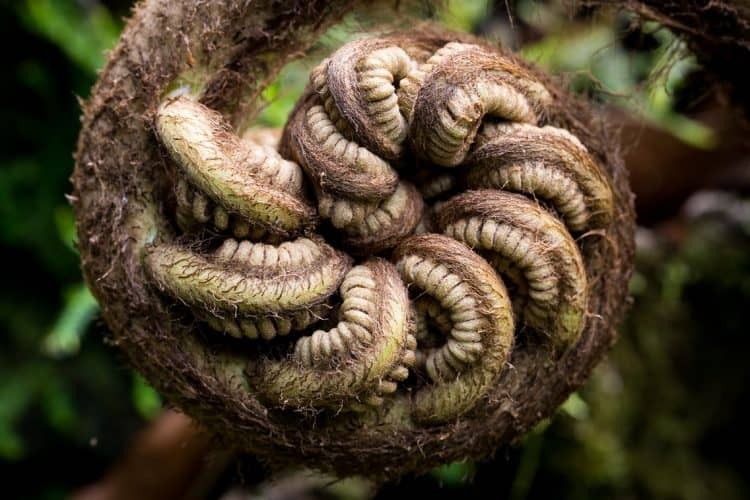 Tropical Ferns and Lycophytes is characterized by having two full-time coordinators and a teaching assistant from renowned universities worldwide. This edition of the course will be led by Dr. Robbin Moran and Dr. Eddie Watkins. Robbin Moran is coordinator and will be with the course for its duration. 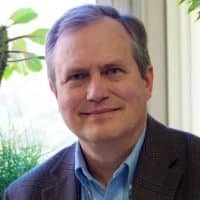 He is the Nathaniel Lord Britton Curator of Botany at the New York Botanical Garden, and his main interests are the evolution, geography, and ecology of ferns and lycophytes. He has published four books and over 120 papers on ferns. 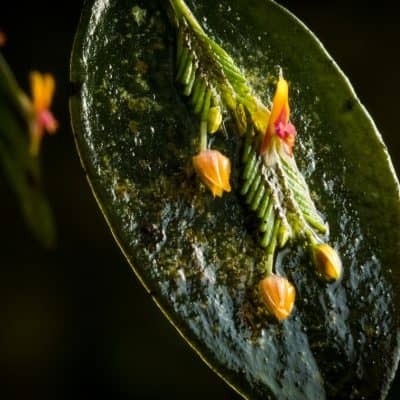 Robbin was the main writer, editor, and organizer for the pteridophyte volume of Flora Mesoamericana, a work that treats the ferns and lycophytes (nearly 1400 species) occurring from southern Mexico to Panama. He has co-organized eight OTS Tropical Plant Systematics courses and several Spanish-language versions of the course. You can view Robbin’s web site at https://www.nybg.org/person/robbin-moran/. James (Eddie) Watkins is co-coordinator and will be with the course for its duration. He is an Associate Professor of Biology at Colgate University where he also directs the Center for Learning, Teaching, and Research. Eddie’s main interest is the ecology and physiology of ferns, specifically of the gametophyte generation. He has published dozens of papers on functional ecology of ferns across temperate and tropical regions. 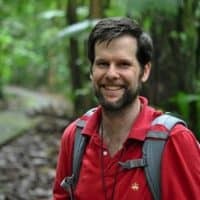 Eddie has worked in Costa Rica for over two decades and has served as a resource person for the OTS Tropical Plant Systematics and Tropical Ecology courses. He has also co-coordinated all four of the OTS Tropical Ferns and Lycophytes courses with Robbin Moran. You can view Eddie’s website at https://eddiewatkins.com/. Students will have the opportunity to interact, be taught by, and participate in group field projects with additional faculty from other universities and research interests. Though you may have one or two roommates on campus, in Costa Rica you will be living closely with 15-22 other students and two to five professors or field assistants. This means communication and respect will be crucial. All of us need to be as open, honest, and cooperative as possible. We also need to have sincere respect for one another, regardless of different opinions and lifestyles. This includes respect for privacy, respect for rules and regulations, and even respect for the fact that unpredictability is an inherent feature of field-based programs such as ours. Indeed, next to communication and cooperation, flexibility and a good sense of humor are the most important characteristics of a successful student in our program. By living and working with the same people for several weeks, you will undoubtedly develop a number of very close friendships. The combination of uncomfortable (being wet, muddy, and tired), wacky (a bunch of Gringos on the dance floor), wonderful situations (watching iguanas sunning on the bridge at La Selva), and truly amazing (interacting with people from all sorts of social back-grounds in very different settings) creates great images and memories. You will, for sure, share these with your fellow participants well beyond the end of the course.